Do you often multitask at meals? Are you distracted when you eat? 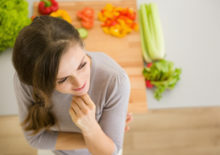 Learn how these habits may contribute to overeating, and how a mindful eating exercise can help you to develop healthier habits.